"The book is an outstanding presentation of how to engage in effective shepherding in a local congregation. I cannot recommend it too highly." "For five years our church has worked hard to improve elder-shepherding. We've worked on this as much as we've worked on anything. And yet, I'll be the first to acknowledge that we still have work to do and gaps to fill. I read Witmer's book in one sitting. I found it that engaging and helpful. This is 'practical theology' at its best: applying biblical principles to contemporary pastoral needs. His grid for knowing, feeding, leading, and protecting the sheep through macro public ministry and micro private ministry is simple and compelling. "At first I read through Tim's book because I was an elder and interested in pastoral care. I thought it would be a nice reminder of important biblical material – maybe even inspirational. The book certainly reminded and inspired, but it did something even more. Tim wants to shepherd other elders! He lays out the biblical material in a way that is persuasive, he suggests structures that can work in any church context, he maps out the mission of a shepherd, and it's as if he won't quit until we are out there shepherding the flock. "The Shepherd Leader examines issues the church desperately needs to consider. We so deeply desire to organize and lead our churches by biblical principles, but can be confused or distracted by secular work or education principles. 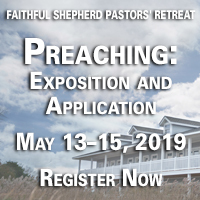 Now the fine pastor and scholar Tim Witmer brings his long experience of shepherding and close examination of Scripture to bear on the practical questions of leading and training to lead in the local church." "Tim Witmer is the faithful shepherd of a growing, urban, multi-ethnic church. In this useful and important book, he explains a biblical, practical model for shepherding ministry in a local church. We plan to use The Shepherd Leader as a primary resource for all of our candidates, interns, elders, and pastors -- our shepherds and shepherds-in-training." "Drawing on years of formal study and experience, Tim Witmer ably guides us into rich pastures of writing on what it truly means to 'shepherd' God's people. For men called to love sheep, the results both compel and convict. For leaders who long to be faithful in the field, this book offers a wealth of theological and practical insight that will strengthen your hand to, 'Pay careful attention to yourselves and to all the flock' (Acts 20:28)." "Tim Witmer's book could not have come at a better time. So many are 'slipping into the darkness' and most of us don't know what to do about it. Now we do! In a Biblical, practical and wise way, Dr. Witmer reminds us, admonishes us and teaches us. Churches all over America will 'rise up an call him blessed.'" "It is both an honor and a privilege to be able to write a few words to introduce and commend this very important book. And there is a double bonus: this book is as readable as it is interesting. Not every study of the eldership is as well acquainted with the shepherding practices of the Nix Besser sheep farm in rural Pennsylvania as it is with the pastoral care of the human sheep of Kidderminster during the remarkable ministry of Richard Baxter in seventeenth century England! This is an intelligent and informative book. 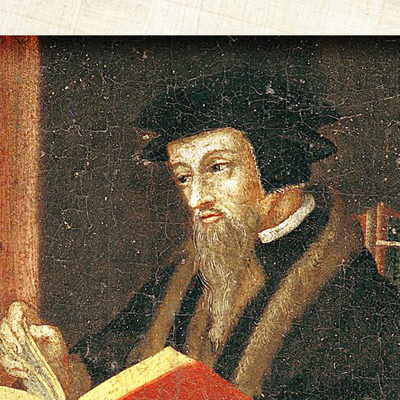 Here exegesis and exposition provide a solid biblical foundation.